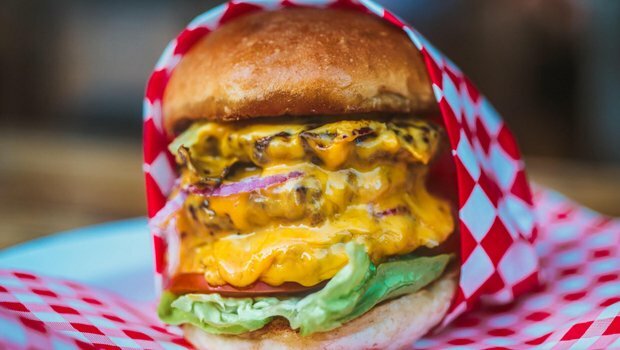 Cravings for big juicy burgers seem to be never ending, and luckily Glasgow has its fair share of places to indulge in some succulent red meat. Whether you're after all the trimmings or are more interested in a good burger with a simple side of fries, there is plenty to get your chops round. The original, which helped to kick-off Glasgow's love of gourmet burgers, does enormous portions of inventive, indulgent food. Southside's Bungo serves up bistro quality food, including themed Burger nights and one of the best veggie burgers in town. Sleek, modern and slightly quirky, CAU delivers a good range of Argentine dishes, with beef as the star of the show. City centre bar-diner serving a variety of Ayrshire-reared steaks and burgers, plus beers and cocktails. Specialising in the North American filled sub roll - aka the Hoagie, with a good line in burgers, pizzas, ribs and more from the USA. Contemporary café-bistro doing breakfast, brunch and beyond, with a few goodies sandwiched between Freedom Bakery brioche rolls. Contemporary café-bistro tapping into local history and offering a global spread to breakfast, brunch and beyond. With overhanging lights, wooden tables and exposed brick walls, the Bungo boasts all of the defining stylistic features of bistro dining, with food to match. Specialising in the North American filled sub roll - aka the Hoagie, with burgers, pizzas, ribs and more from the USA.